For his last postgame press conference of the season, Walt Weiss’ eyes started to get glossy. 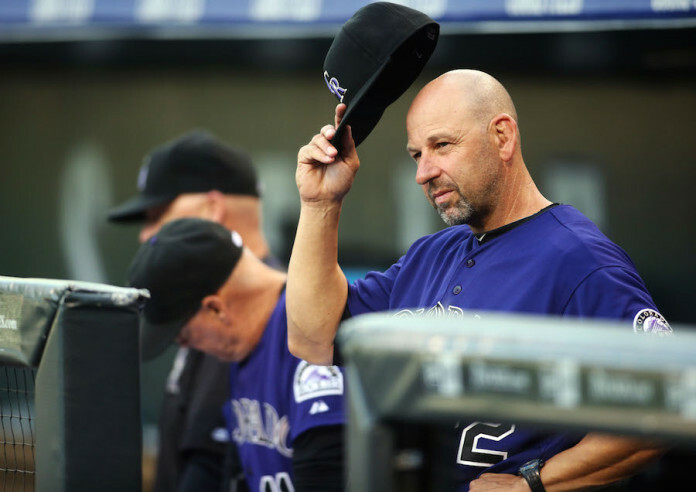 He never cried and his voice never wavered, but the emotion was still there for the Rockies manager, who entered the 2016 season without a contract extension. Weiss has walked around the field for fan appreciation day 15 times in his career, but he said this time felt different. This morning, it was announced that Weiss had stepped down as manager of the Colorado Rockies. Weiss entered the season on shaky ground. Patrick Saunders of the Denver Post reported that his relationship with general manager Jeff Bridich was was strained, a there were no discussions about a contract extension during the season. The writing seemed to be on the wall from the start, but Weiss never let it affect his ability to manage. He wasn’t interested in grading his own time as manager but rather continued to poor on praise for his veteran leaders, like DJ LeMahieu and Nolan Arenado who won the NL batting title and NL home run lead, respectively. Weiss said he didn’t want LeMahieu to lose the batting title to Daniel Murphy when the Nationals second baseman was injured. He said he monitored the Nationals game — but you didn’t hear that from him, he said with a smile. A lot has changed for this club in 2016, and that includes Weiss’ management style. Part of that leadership has transferred to Nolan Arenado. 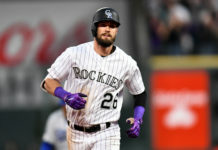 He played in a career-high 160 games this season, which is tied for fourth-most in the Majors and tied for fifth in franchise history (Vinny Castilla and Todd Helton did it twice). He finished the season tied for first in the National League with 41 home runs and and led the Major Leagues with 133 RBI. He briefly talked about his accomplishments but quickly transitioned to the bright outlook for this club. Weiss and Arenado said they couldn’t be happier that LeMahieu got the batting title. These guys are the foundational core that were tasked to come off the worst season in franchise history in 2012. 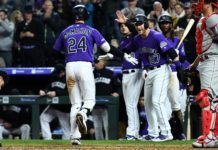 LeMahieu attributed his success of ending the season with a .348 batting average to win the batting title to one thing. The stoicism of LeMahieu and the leadership role Arenado are large products of Weiss’ tenure. The record was never there, but his biggest legacy will be mending a locker room and building it to a place where rookies were able to step up as leaders. The improved culture will be imperative for providing a foundation for the many rookies who came up this year so they can become leaders in their own right and take the next step towards competing in 2017.